Visy’s 100% recycled plastics plant, the first of its kind in Australia, has successfully launched recycled PET and HDPE into several of our customers’ products. Using Visy’s recycled plastics allows our customers and consumers to showcase their commitment to sustainability, clearly supporting the Australian Packaging Covenant’s (APC) sustainable packaging initiatives. Subsequently, Visy has established a new logo, Re+, for the benefit of our customers to use on their Visy purchased recycled PET and HDPE plastic products. The logo is exclusively available for use by Visy customers on our recycled plastic products under a licence agreement. The launch of the logo has been accompanied by an expansion of the Visy "For a Better World" tagline. 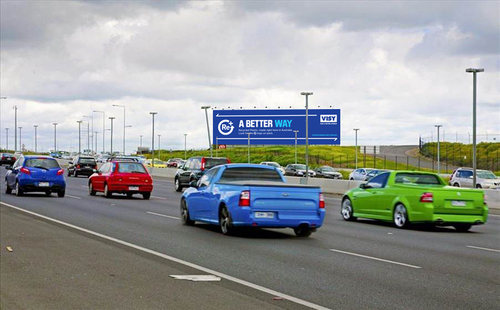 In a recent advertising campaign, Visy promoted for the first time to consumers directly, that there is "A Better Way". This was designed to inform consumers, and our customers, that buying products with this logo is the easiest way to identify with a recycled plastic product, commonly understood by consumers as an environmentally friendly reuse of plastic packaging. Visy has launched our recycled PET at a range of different levels with the best example of this being the Coles water bottle, which utilises 100% recycled PET. The Re+ logo can signify the inclusion of varying amounts of recycled content (currently 15%, 30%, 50% or 100%) in the product through the use of changeable percentage (%) content wording.